People can be so evil! Chase, the dog belonging to the family of Ohio State star running back Ezekiel Elliott, will be returned to the family after being stolen a few days ago. Chase has been found and is being returned to the family by police, according to his father. 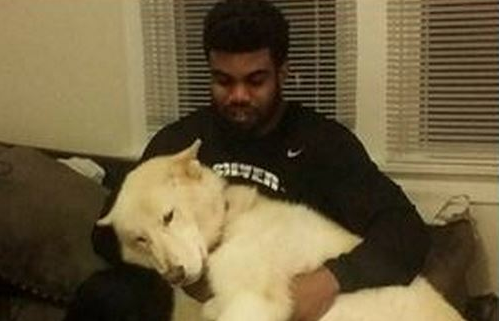 Elliott’s father says someone stole the family’s dog Monday morning, according to ABC. Then Elliott says his heart sank even further when he discovered someone had cut through the dog’s fenced-in enclosure. He’s filed a police report and now Elliott and his family are holding out hope. Stacy Elliott says he woke up early Monday to feed their dog Chase when he discovered the young Alaskan Malamute-German Shepard mix was gone.